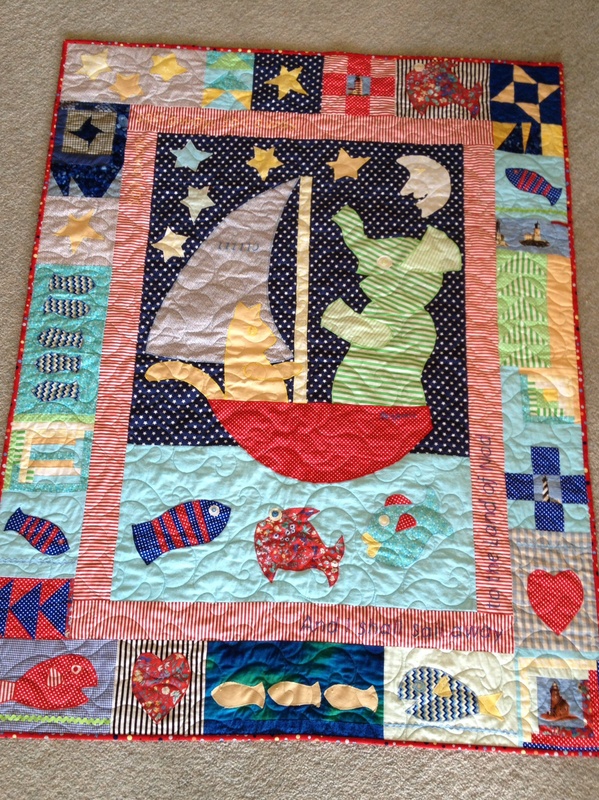 Made for the baby of a sailing family, I based this quilt on one I saw in an old Australian Patchwork & Quilting magazine. It was called Night Fishing by Cynthia Nicklin. 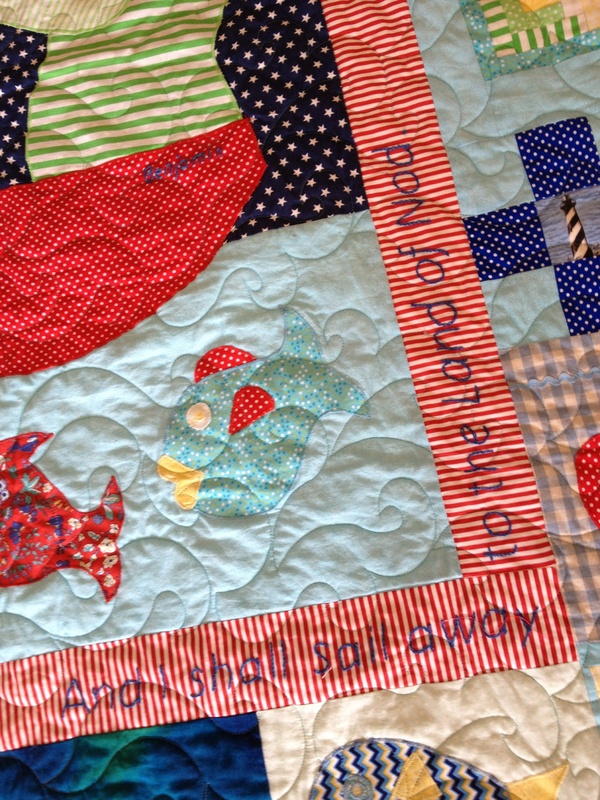 And I had it quilted by Sue of Sue’s Top Finish as I really wanted to get it finished and hand it to the new owner. Thanks Gill, I am about to start one for Bens baby brother. I am still posting quilts that I have made in the last couple of years. Will be up to date soon. Will try and lift my photography and styling skills with the new stuff!